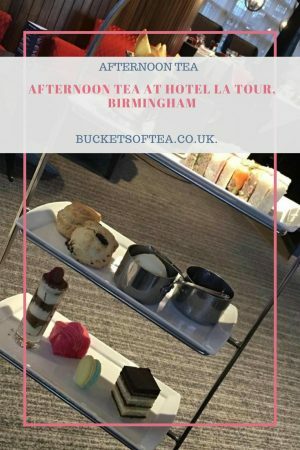 March’s afternoon tea was taken at La Tour hotel in Birmingham. 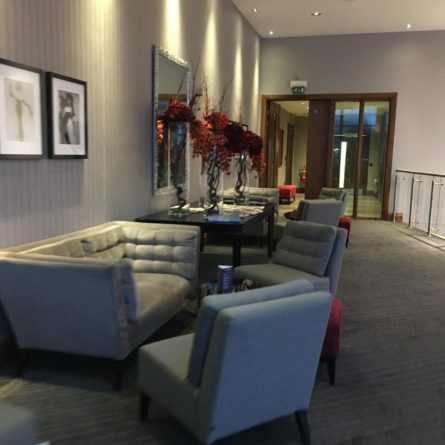 The hotel is a modern beautifully decorated 4 star hotel in Birmingham City Centre. 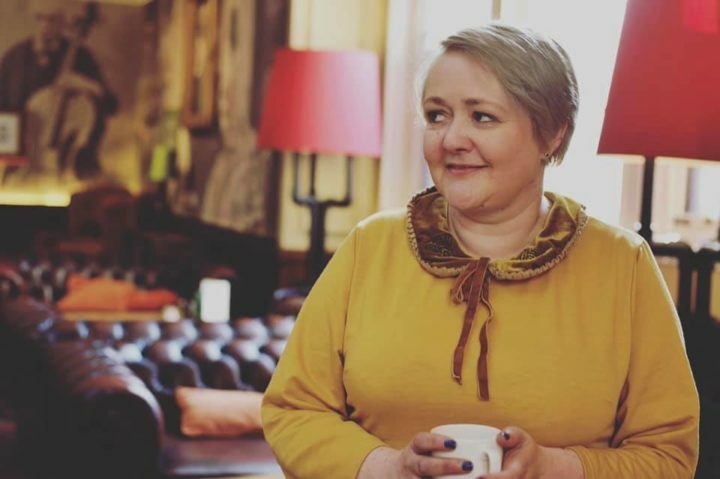 I have been lucky enough to have had afternoon tea here before and loved it that much I decided to make a return visit. 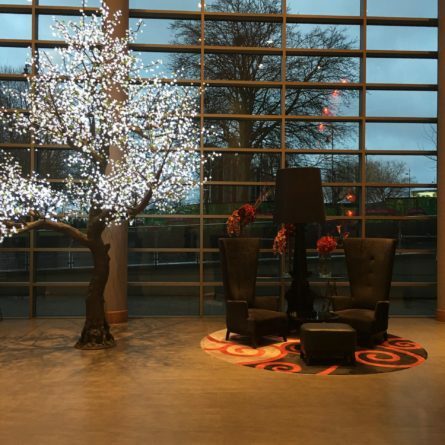 The hotel opened in 2012 as part of Birmingham’s regeneration plans and has a modern elegant feel to it. Marco Pierre White also has his first ever English Chophouse contained within the hotel which specialises in high quality meat cuts which are prepared with precision by trained staff. 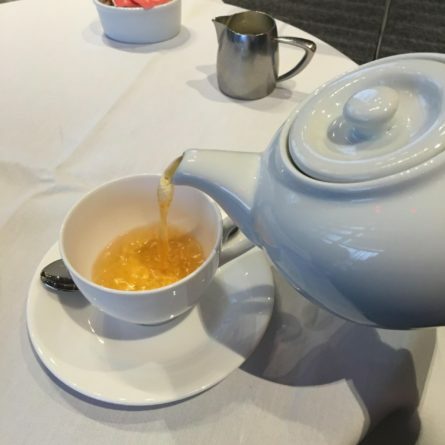 I was served a large pot of Earl Grey Tea (refillable) which was nice but could have been a little stronger for my taste. 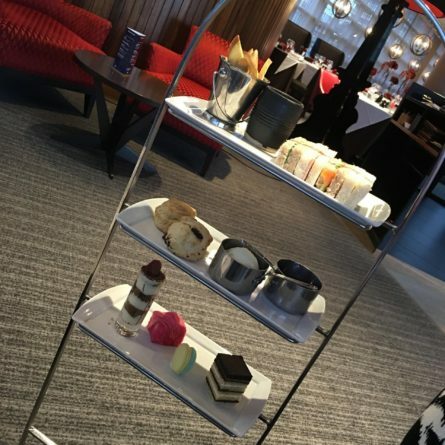 The afternoon tea was stunningly presented on a silver floor stand and was filled with delicious goodies. 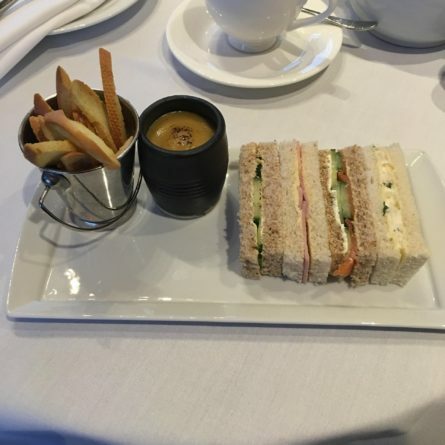 There were 4 sandwiches and a pot of welsh rarebit with bread sticks. It was all really tasty and to be honest I struggled to finish the rarebit as the portion was so generous. 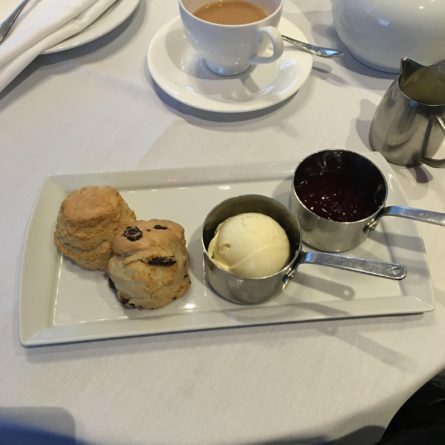 Next were 2 scones, on with fruit one plain served with cream and jam. 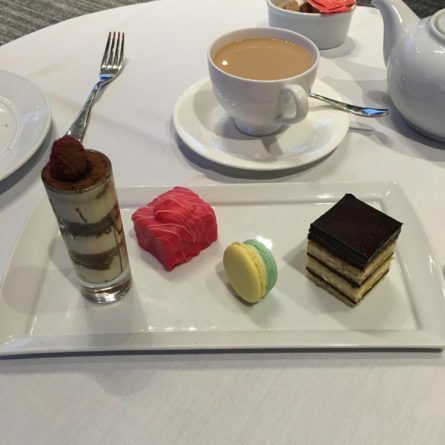 To finish was a selection of 4 desserts: a tiramisu, french fancy, macaroon and a chocolate cake. I don’t like coffee so I didn’t eat the tiramisu and by the time I had got to the sweets I was unable to eat the chocolate cake but I did have one forkful and it was lovely. The french fancy and macaroon were amazing. 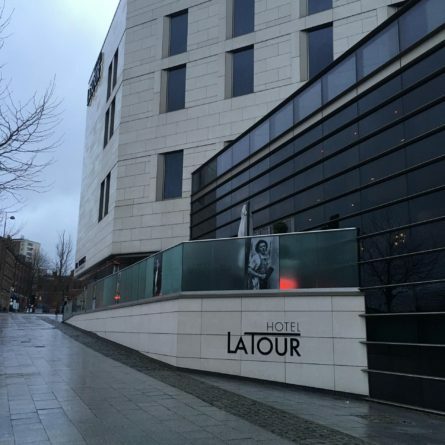 Would I have afternoon tea at La Tour again? I most certainly would but be prepared for a food overload!